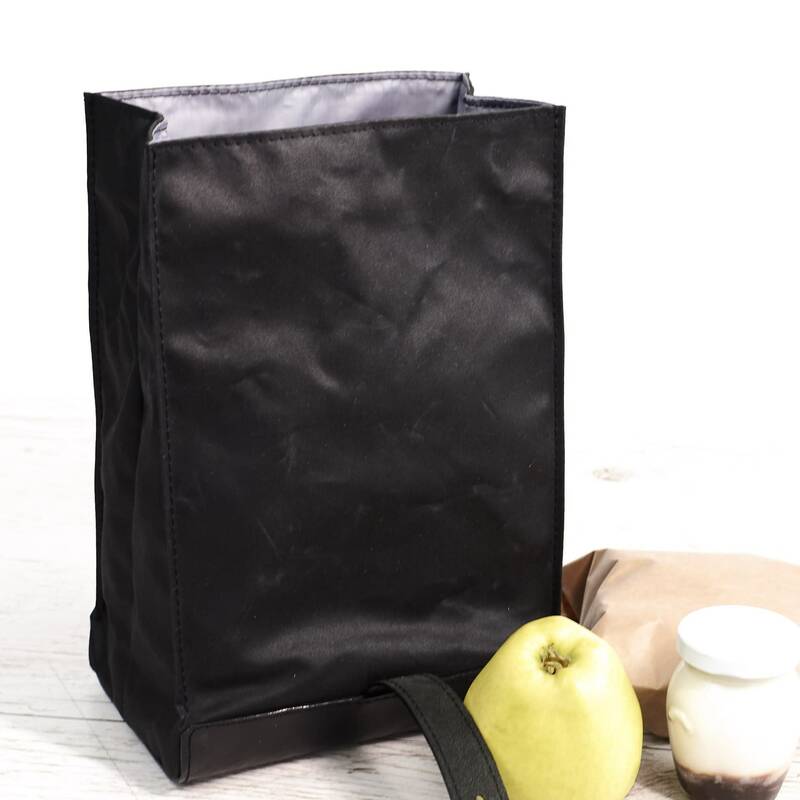 Black lunch bag. Lunch box. Waxed canvas and leather lunch bag. School lunch bag. 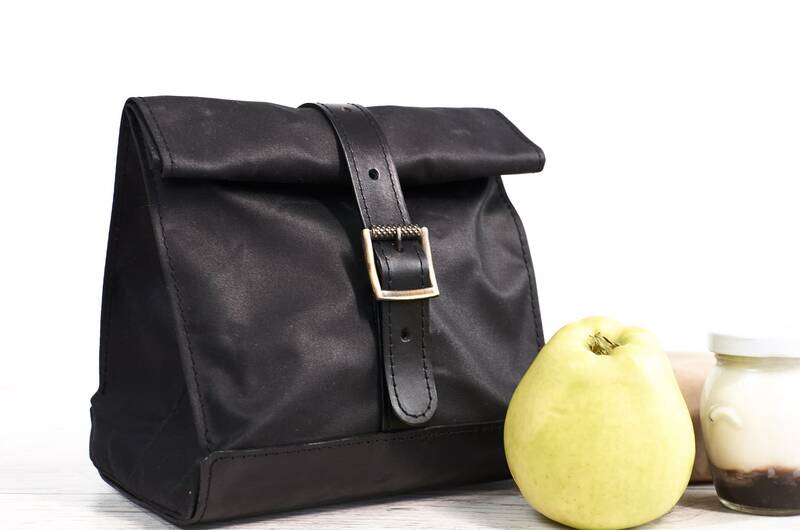 This beautiful and simple to use lunch bag is made of British waxed cotton and natural leather. 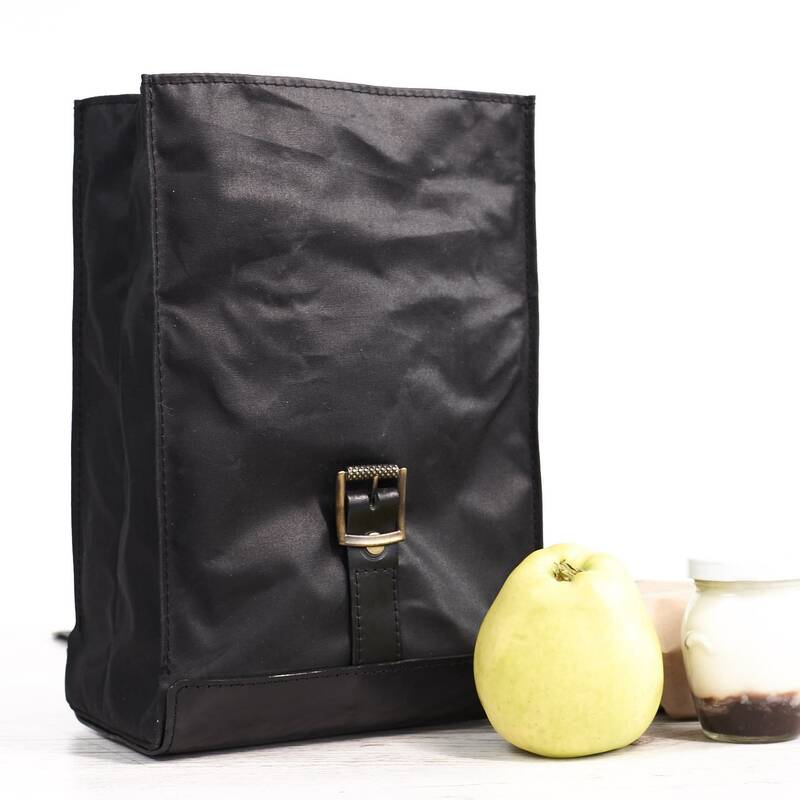 Waxed cotton is a very durable and water-ressistant material, that will keep your lunch dry in all weather conditions. All our lunch boxes are fully lined with fabric. So, you can also use it for other purposes, like a small bag for necessaries in vacation. 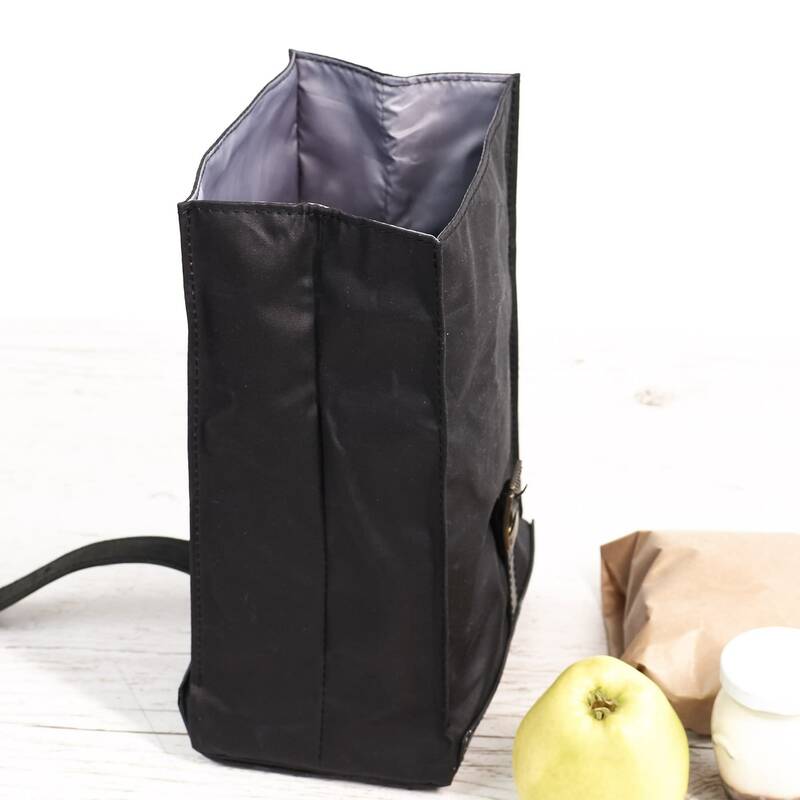 The bottom part of the lunch box has two layers (canvas+leather) for more stability. The bag closes with a long strap and high quality Italian buckle. Remember, all our goods can be personalized with laser engraving machine without extra charge, just contact us. Also, you can order it in any other color combination from our shop.